Garlic may be the enemy of vampires, but it will be your best friend in cooking. Crush it, chop it, toss it in stir fries and stews. You can make fantastic marinates with garlic, whether you are marinating meat or roasting vegetables. I tend to put some garlic in water when I’m boiling pasta or rice as it helps to give some kick to simple ingredients. I know that peeling garlic can sometimes be a little bit of a nightmare, that’s why there are ingredients like this to save some time. Tinned tomatoes should be a staple in every person’s cupboard. Why spend a fortune on pre-made sauces when you can make your own! Spaghetti bolognaise is quick to make, you can even freeze it in bulk to save some money. Tinned tomatoes could also be used to make soup, combine it with pasta and butter beans. Perfect for those lazy autumn evenings. Lentils can be a great alternative to pasta and rice. Great to use as a base for stews or soups (I tend to combine lentils with tinned tomatoes) Red lentils are your best bet as they cook quicker than dark. A bag of supermarket own brand oats costs around £0.70. 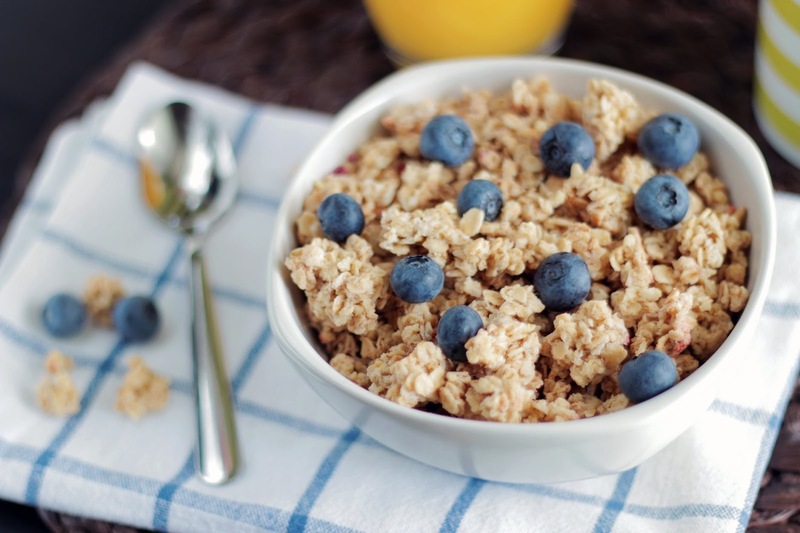 Don’t be fooled, oats are not only great for porridge. To make delicious breakfast bars, you could combine oats with some nuts or a cheap trail mix and honey (agave syrup if you are vegan). Wrap the breakfast bars in some tin foil and put them in a leftover box. They are fantastic to grab when you are in the rush for lectures or work. Salads tend to be lacklustre without any dressing on them, however putting sauce from the bottle on your salad leaves can ruin the healthy element of your meal. Lemon juice with some salt and pepper makes a delicious salad dressing. It also works well in marinates. Another great staple when it comes to sauce. I love combining cream cheese, onions and pasta for quick and tasty meal when I don’t have the time for complicated cooking. 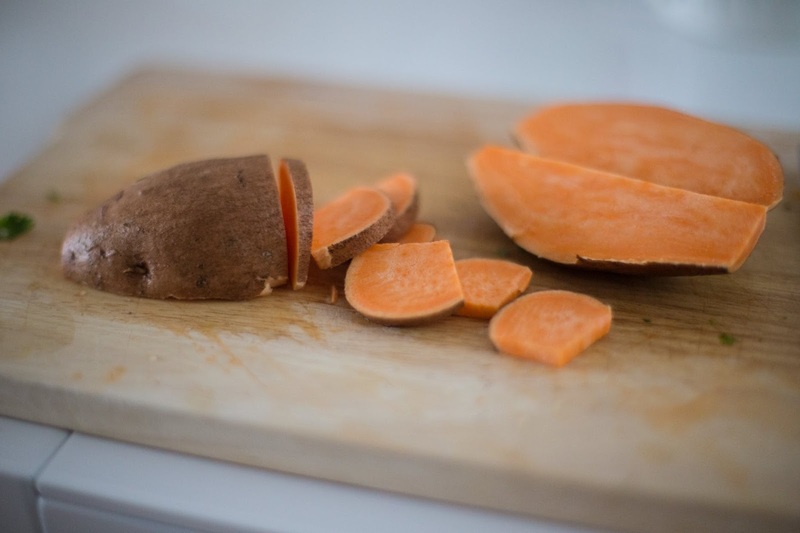 Sweet potatoes are the royals of the potato world – a healthier alternative to normal potato wedges and mash. I love rubbing sweet potatoes with paprika and baking them in the oven with tomatoes and chickpeas. You could also make an easy soup with sweet potatoes and carrots. Here’s a great recipe. Courgette is an underrated vegetable. You could use it in stews and stir-fries, use it instead of pasta sheets in a lasagne, you could even make a stuffed courgette. This vegetable can be a great addition to a vegetarian/vegan curry! Cauliflower and rice makes a delicious pair, plus it’s one of those vegetables that is quite filling. I mean, you can even make a pizza base using cauliflower, how cool is that! 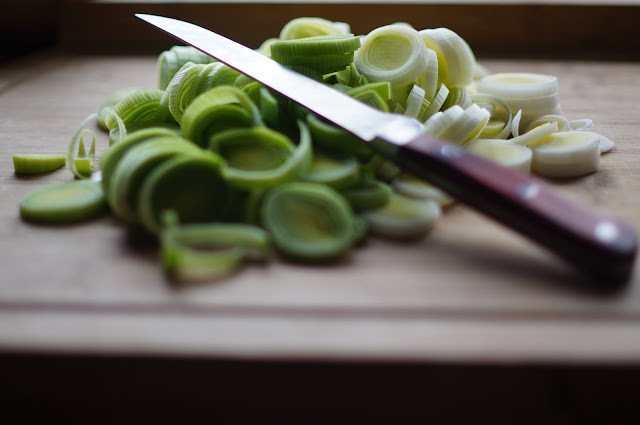 Leeks go well with beef in stir fries and of course for students, leek and potato soup is a fantastic, budget friendly meal to make. Stock up on tinned kidney beans, they are only around £0.30. Kidney beans are a staple in tasty chillies, filling salads and a wonderful protein source. Chickpeas are cheap and easy to throw into meals. Oven roasted chickpeas are delicious. Furthermore, chickpeas can be used to make a curry. You could also make your own hummus using tinned chickpeas. You can’t really eat a stock cube (I mean you could try, but I don’t recommend it) BUT, stock is that secret ingredient to improved taste of food. Add a stock cube to boiling water when you are cooking your rice or pasta. Stock is also crucial ingredient of soups. Plain flavour begone! Breadcrumbs could be used to make pasta bakes or crispy steaks. They could also be used in making chicken kievs. You could also use breadcrumbs to thicken stews. 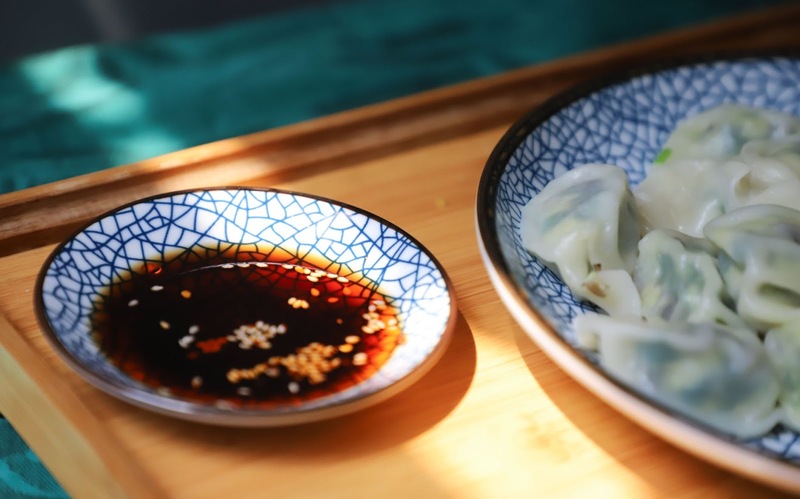 Make your own Chinese takeaway with the help of soy sauce. Soy sauce makes a delicious meat marinade, especially for chicken. Add some soy sauce to casseroles or a little dash to noodles. I am obsessed with spinach. Boiled spinach, fresh spinach, stir-fried spinach – the possibilities are endless. Spinach has amazing health benefits, it is high in vitamin A, vitamin C, iron, folic acid and other nutritional super-heroes for your body. Tuna and sweetcorn, sweetcorn in curries, sweetcorn in stir-fries, sweetcorn as a side dish or sweetcorn mixed with rice and peas. Clearly, sweetcorn could be used in many different dishes. Greeks love their feta cheese and no wonder why - it’s delicious. 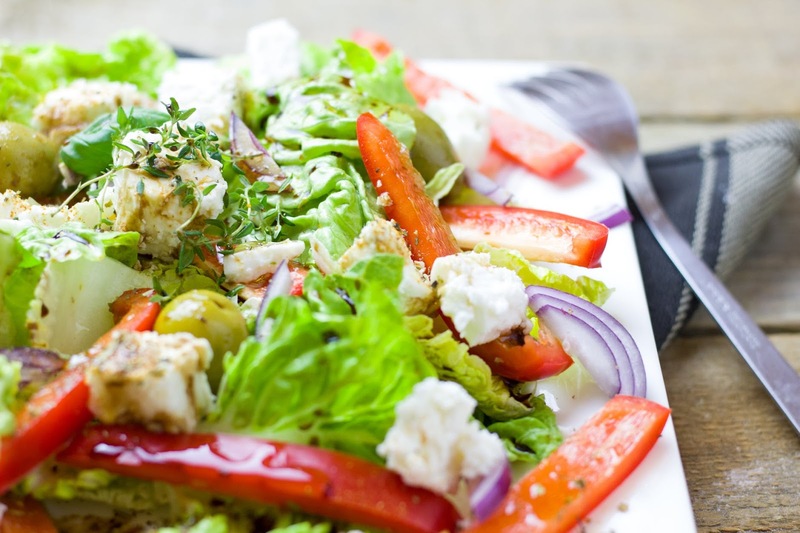 Add some feta cheese to spinach, tomatoes and cucumber for a quick and tasty salad. You could also stuff peppers or pastry with feta cheese. Have some tinned coconut milk in your cupboard for making delicious curries or coconut rice. Coconut milk could also make a tasty noodle soup. 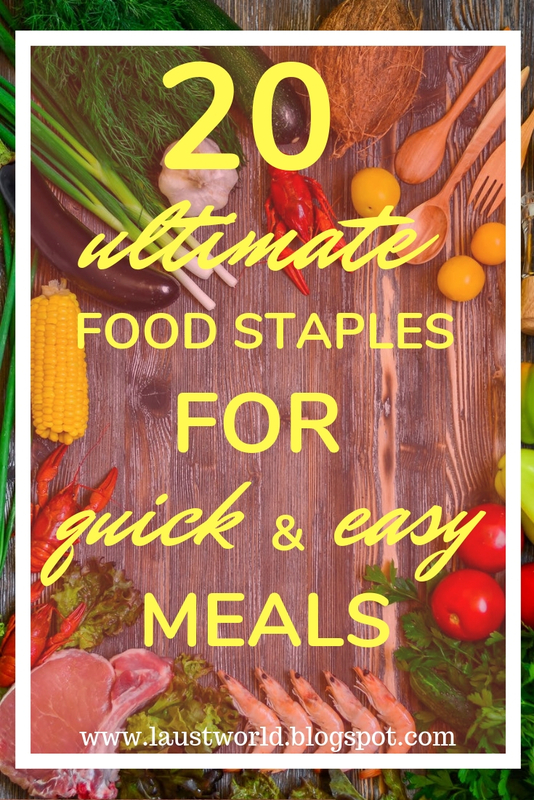 That’s it, the 20 ultimate food staples for quick and tasty meals. 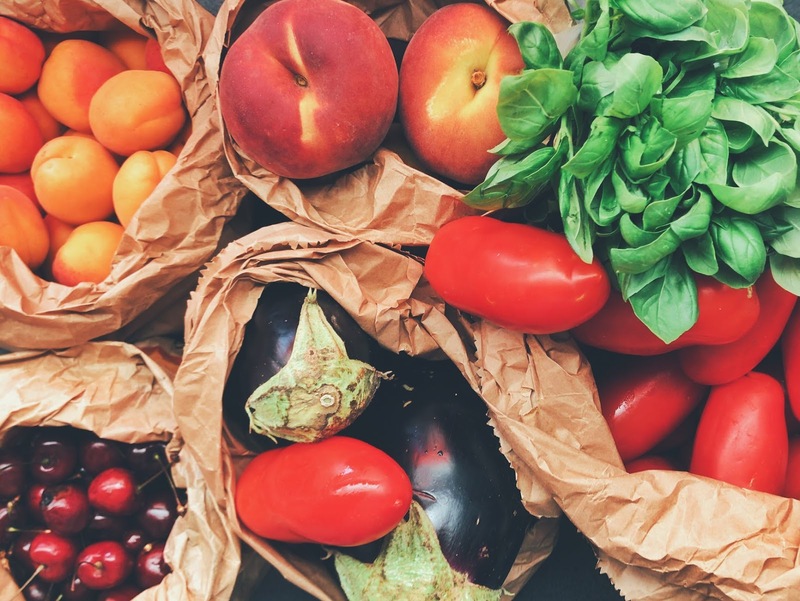 I hope this list has inspired you when it comes to cooking and creating your food shop list. Cooking doesn’t have to be a student enemy or the enemy of your wallet. Having staples in the cupboard, the fridge and freezer ensures that tasty meals can be made more efficiently. What are your food staples? Let me know in the comments! This is a really handy post! I'm such a huge foodie and not picky at all with my food so I'd happily have all of those in my cupboards. I love sweet potato and I'd put garlic in just about anything if I wouldn't repel people afterwards haha! My dishes tend to be a bit lack luster so these are great recommendations to have ingredients on hand for mixing things up! I'm such a lazy chef most of the time so this was super helpful! One thing that I always do is make my pasta sauce from scratch so I totally agree with you about the tinned tomatoes and stock cubes! I'll have to look into the rest and do some planning! These are great. I find a well stocked store cupboard is vital for healthy eating and saves you money because you're using what you have. I always keep kidney beans and tinned tomatoes in my cupboards along with an array of pasta and rice. After having soy sauce in my ramen noodles the other day, it's a staple I want to add in my cabinets on the regular. I liked this list because their are so many foods I overlook but the items you listed and great meal starters of flavorings. 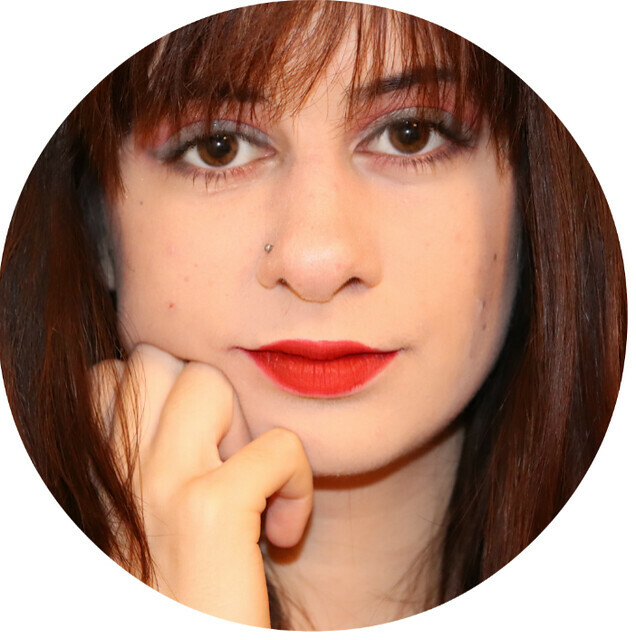 Thanks for this educational list Laura!